I wrote a review back in August for the delightful indie title "Overcooked". 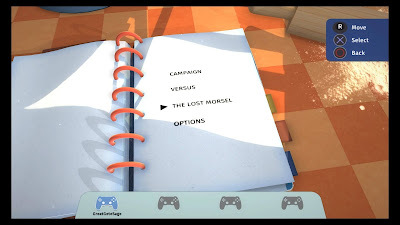 If you haven't heard of it, definitely check out the post, the game deserves attention! Overcooked unquestionably one of my favorite games of the entire year so when Ghost Town Games announced the DLC "The Lost Morsel" add-on and a "Gourmet Edition", retail copy last month I got so excited! Connorkaze is home for Thanksgiving and one of the first things we were able to do is play though the DLC in it's entirety and I'm happy to say it's exactly what I was hoping for. Once you enter the DLC for the first time you are transported to a cabin, similar to the small cabins throughout the main campaign. After some brief goofy narrative from the Onion King explaining you have gone back in time to the dinosaur age, and a helicopter loan from Kevin the dog, you can set out for some new kitchens. 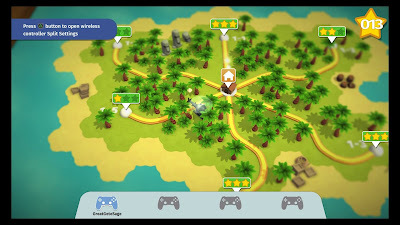 The world map for "The Lost Morsel" is as pleasant to spend time in as the main game, with an incredible theme that matches the new time period well and easy visuals, although this time you transition the map with a helicopter you borrowed from Kevin. It's critically important. On to the main dish - kitchens. I went into the DLC half expecting things to be even more brutal then the finals world of the main game, I was relieved to see "The Lost Morsel" really uses the six new stages as separate experiences, some being much harder than others. 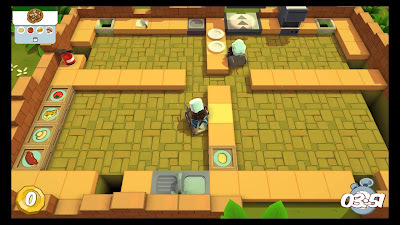 Some maps challenge players with trials they have encountered in the main game (it's recommended players complete the campaign before entering the Lost Morsel), such as using conveyor belts to shift ingredients around the map, and even kitchen stations that move mid cooking. 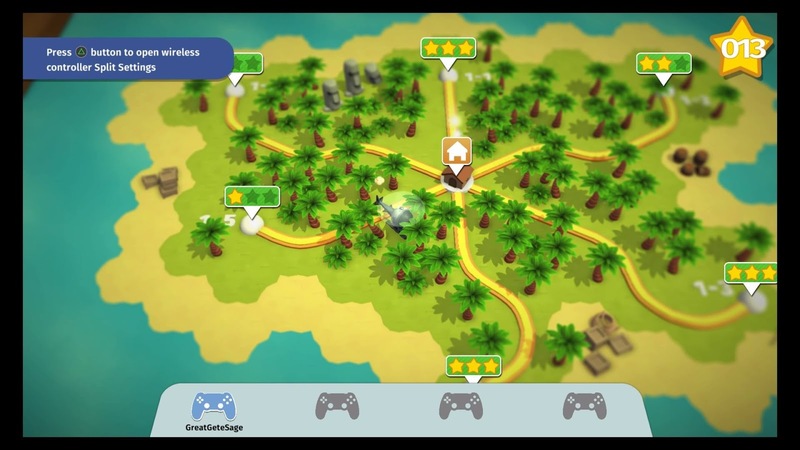 These maps also showcase some of the strongest examples of Ghost Town Games' sadistic creativity, introducing some new and interesting challenges. The first kitchen of "The Lost Morsel"
The final kitchen of "The Lost Morsel" looks kind of easy, right? It's not. Although Connor and I have yet to 3 star every kitchen (we're gonna!) I love what Ghost Town Games has added to the game. 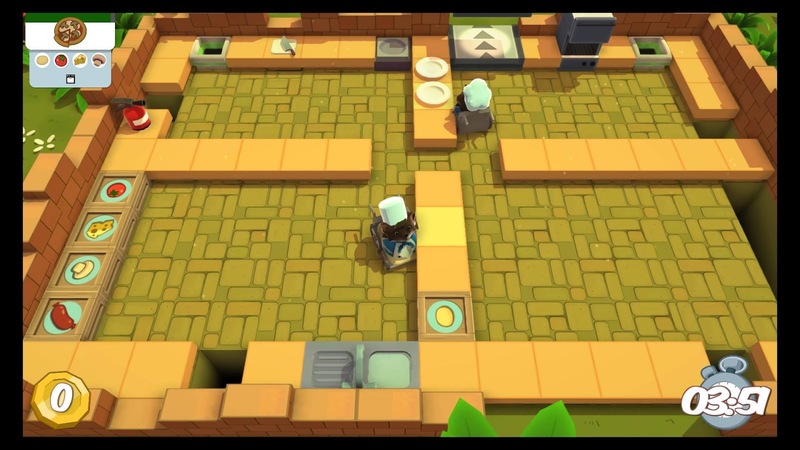 For a mere $5 the content added is a prime example of why Overcooked deserves all the praise I continuously give it, whenever I get a chance to. 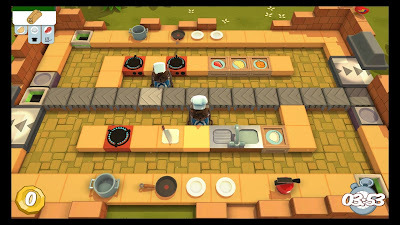 Upon finishing the DLC's final kitchen, my only only gripe is hoping that I get to enter some new kitchens again...soon. 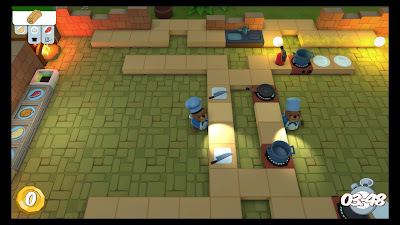 It feels like Ghost Town Games has set up a near perfect system for introducing new kitchens in the time travel theme of the game's loose narrative, and I can't help but get giddy with the possible future of Overcooked! I can't speak for everyone but I will happily support future Overcooked content. 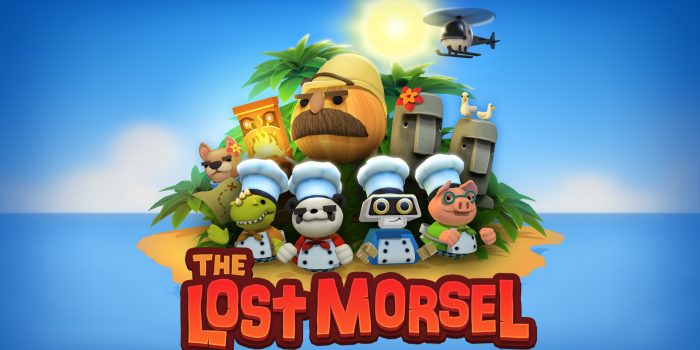 If you're a fan of the base game, The Lost Morsel is absolutely worth picking it up, even if it is just a snack.